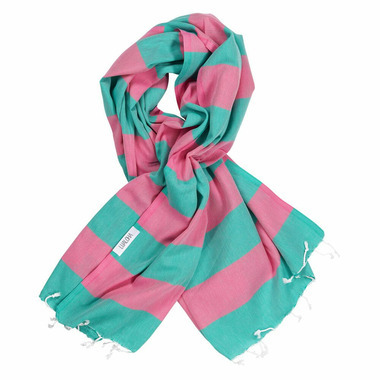 Wrap yourself in the boldly coloured and luxuriously soft Lualoha Buddhaful Turkish Towel. This classic colour combo makes a serious statement about your love of classic elegance - and your on-point sense of style. 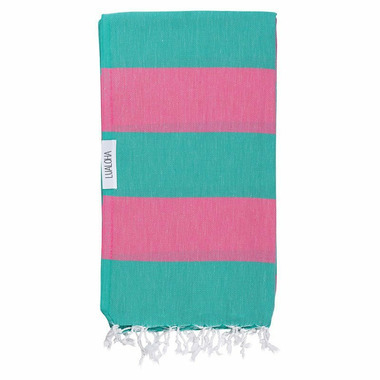 This flat-woven, 100% Turkish cotton towel is super soft, unbelievably light weight, ultra-absorbent and so quick to dry (just give it a snappy 20 minutes in the the sun or wind) that you'll instantly fall in love. And the best part is that it only gets softer and more absorbent after each wash. Whether you're a swimmer, a tanner, a surfer or a camper, your multipurpose beach towel will become your ultimate outdoor companion. Sleek, bold and sophisticated, this luxurious Lualoha beach towel will surely catch the envious eyes of all those "other" towel users on your outdoor adventures.